Update: These classes are currently on a break. Contact us if you are interested in future classes. 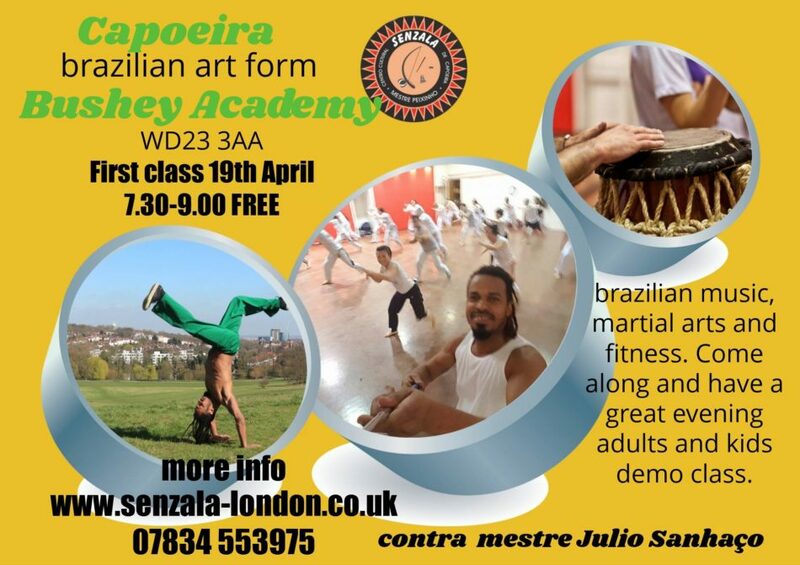 CM Julio Sanhaço will be holding weekly classes in Bushey, Hertfordshire from Wednesday 19 April 2018 from 7.30-9.00pm. The first class is free!